In a small village in northern France, Monsieur Ouine, a retired professor, is taken in by the dull local squire, Anthelme de Nereis, and soon rules the life of both Anthelme and his wife, Ginette. A fourteen-year-old fatherless boy, Philippe Dorval, flees home and, on impulse, follows Madame de Nereis to her chateau. There the squire, who is dying, tells the boy that his father is actually alive and well--that despite what Philippe's mother had told him, his father had not died in World War I. The forsaken boy finds himself on that fatal evening succumbing to Monsieur Ouine's embrace after falling into a drunken sleep in the old professor's bed. The events of the tempestuous night lead to upheaval in the village the next morning, when, at dawn, a boy's body is found afloat in a stream near the chateau. 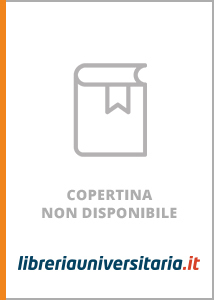 Scrivi una nuova recensione su Monsieur Ouine e condividi la tua opinione con altri utenti.